New York (TADIAS) — 2013 began on a high note for us covering the Walyas historic participation at this year’s Africa Cup and their attempt to qualify for the 2014 World Cup in Brazil. At the same time, however, the tragic conditions faced by Ethiopian migrants in Saudi Arabia, which became one of the largest human airlifts, was the most read story of the year on our site. So far more than 140,000 Ethiopians have been forcefully deported from Saudi Arabia and the number is likely to rise. Below are the top ten most-read stories of the year. The well-documented plight of Ethiopian citizens residing in the Middle East came to the forefront in 2013 following the aftermath of last month’s wanton violence in Saudi Arabia that claimed the lives of several Ethiopian migrants. The incident elicited immediate and strong reactions from Ethiopians worldwide who took to social media and organized protests outside Saudi Embassies to express their outrage and draw much needed attention to the brutal treatment of migrant workers in the oil rich kingdom and other gulf states. The International Organisation for Migration has announced that Ethiopia has brought home close to 140,000 citizens from Saudi Arabia. 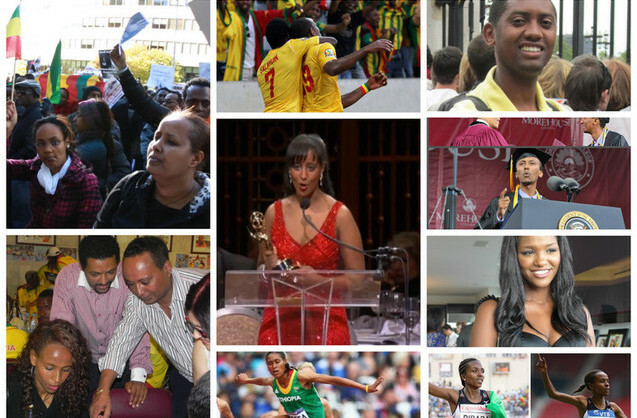 According to Ethiopia’s Ministry of Labour and Social Affairs, more than 200,000 women sought work abroad in 2012 alone. Here are links to some of the stories under this topic: Tadias Magazine Roundtable Discussion at National Press Club (Video and Photos), An Appeal to Ethiopians Worldwide: Supporting the Ethiopian Red Cross Society, Fasil Demoz and Other Singers Over Plight of Eth. 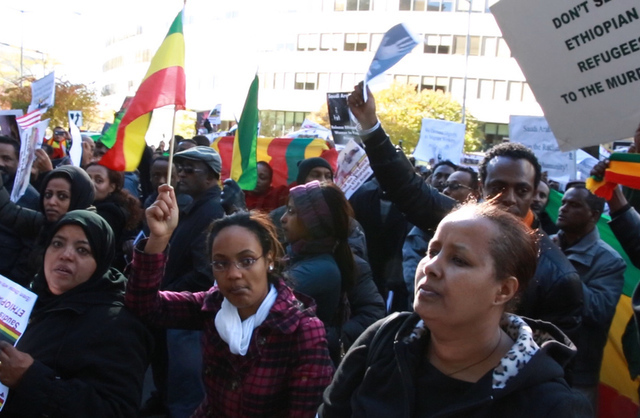 Refugees (Video), Interview With Rima Kalush: Migrant-Rights Org Seeks Long Term Solutions, Ethiopians Shame Saudi Arabia On Twitter For Inhumane Treatment Of Migrant Workers, Photos: Ethiopians Hold Protest Outside Saudi Embassy in Washington, D.C., NYC Ethiopians Make Presence Felt at the Saudi Mission to the United Nations, The Ethiopian Migrant Crisis in Saudi Arabia: Taking Accountability. Meseret Defar signs an autograph for fans in Moscow on Sunday, August 18, 2013. Ethiopia collected its highest medal count ever at the 2013 Moscow world championships in athletics, earning ten medals, three of them gold. The next highest was nine medals, three gold, earned in 2005 in Helsinki, when Tirunesh Dibaba won the 10,000 and 5000m, with Meseret Defar taking 5000m silver. In Moscow, Tirunesh won the 10,000, while Meseret took the 5000, and Mohammed Aman’s 800m gold was Ethiopia’s first medal over the distance at any global championship. Read more. 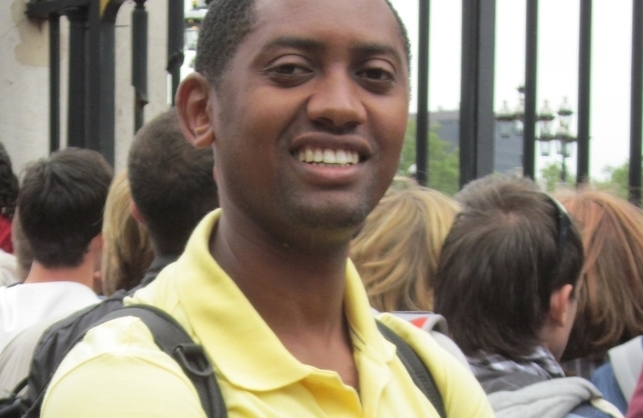 IBM Research Scientist, Solomon Assefa, was honored as one of the World Economic Forum’s Young Global Leaders of 2013. 199 young global leaders were selected from 70 countries worldwide including 19 honorees from Sub-Saharan Africa and 12 from the Middle East and North Africa. Other notable honorees in 2013 include Chelsea Clinton, Clinton Foundation Board member and special corespondent for NBC News; Nate Silver, statistician and writer of New York TImes Five Thirty Eight section; and William James Adams (aka will.i.am), singer and founder of i.am.angel Foundation. There are currently 756 members of the Forum of Young Global Leaders and the annual summit was held in Yangon, Mynamar from June 2-5th, 2013. Solomon Assefa was also selected as one of the world’s 35 top young innovators by Technology Review in 2011. Read more. How would you like to be a valedictorian at a graduation ceremony where the keynote speaker is the President of the United States? That’s exactly the opportunity that Betsegaw Tadele, a computer science major at Morehouse College, received when President Barack Obama delivered the commencement address at the historically black institution. Read more. Yityish (Titi) Aynaw, Miss Israel 2013, visited New York earlier this year. At a gathering open to the press on June 11th, 2013 in Manhattan Titi spoke to the media, and Tadias briefly interviewed her. Read more. 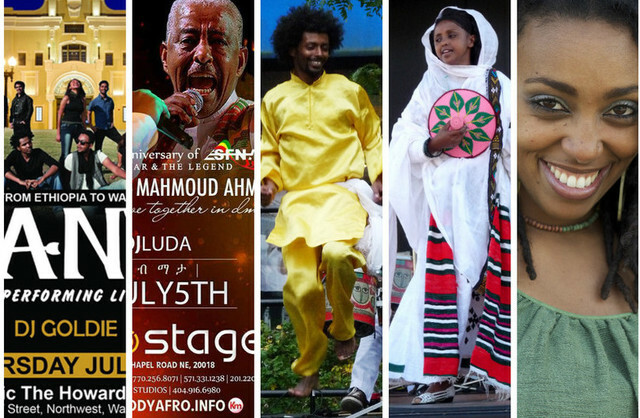 It was was an exciting summer for Ethiopian music on the East Coast (See Washington City Paper’s highlight of various Ethiopian music events that took place in D.C. during the 2013 soccer tournament week) with live concerts that included the highly anticipated U.S. debut of Jano band (Watch video); the Addis Ababa-based duet, Munit and Jorg; the return of Fendika direct from Ethiopia; a joint performance by Teddy Afro and Mahmoud Ahmed (Washington Post: Mahmoud Ahmed and Teddy Afro Bring Echostage Home) as well as the first American tour by The London-based trio, Krar Collective. The Ethiopian national soccer team, The Walya Antelopes, made a historic return to the Africa Cup of Nations this year held in South Africa. The tournament was Ethiopia’s first after 31 years of absence. The team also went on secure a place in African play-offs for the 2014 World Cup. History was made in Russia’s Luzhniki Stadium as an Ethiopian made the podium in the steeplechase at a global championships for the first time ever on July 31, 1980, when Eshetu Tura took the bronze medal at the Moscow Olympic Games. 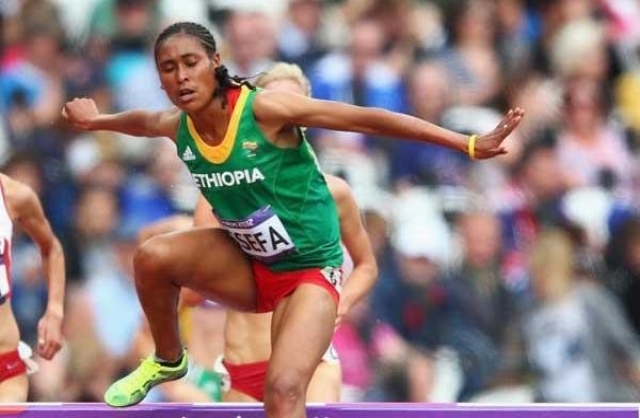 Thirty-three years later, history repeated itself when Sofia Assefa also took steeplechase bronze in the same stadium at the 2013 athletics world championships, becoming the first Ethiopian — male or female — to medal in that race at the biennial event. Read more. Ethiopian American Journalist Bofta Yimam won a Regional Emmy Award from the National Academy of Television Arts & Sciences (Nashville/Mid-South Chapter) for excellence in “Continuing Coverage” category. The winners were announced January 26, 2013. Bofta, who is a reporter for Fox 13 News in Memphis, Tennessee, was given the award for her reporting highlighting Kimberlee Morton (as in Kimberlee’s Law) that was signed by Tennessee Governor Bill Haslam in 2012. Bofta interviewed Kimberlee for the segment. The journalist, who has been in the field for less than six years, is a native of Washington, D.C. and a graduate of University of Maryland, College Park. She was nominated in three categories including for two works in excellence for “Light Feature” reporting category. Read more.